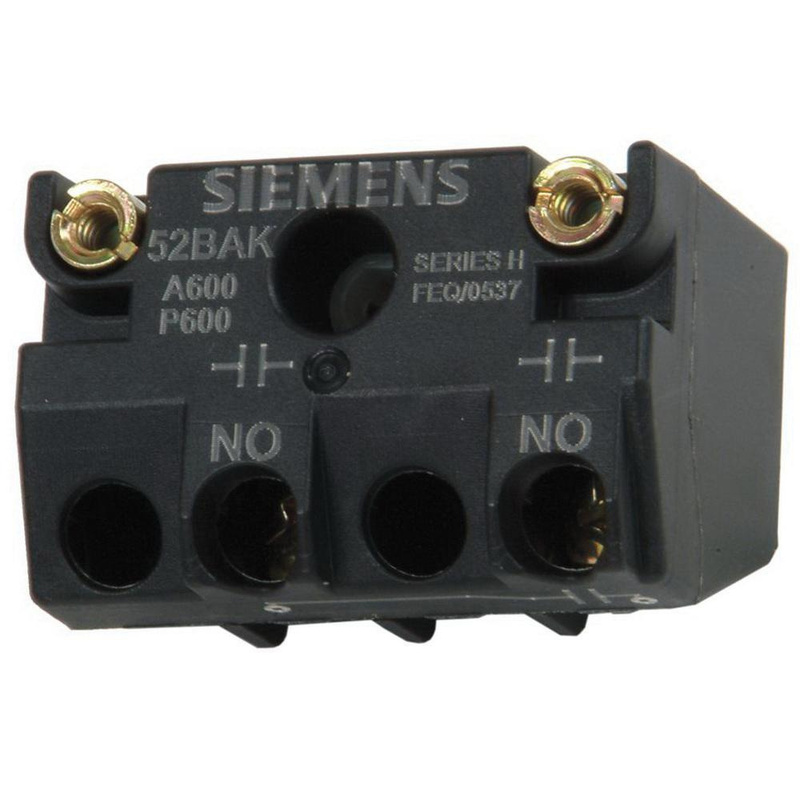 Siemens Black Max™ Heavy-duty 30-mm touchsafe contact block has contact rating of 10-Amps at 600-Volt AC and 5-Amps at 600-Volt DC. It has 1 NO contact configuration. This contact block with screw terminal connection, has stainless steel spring and silver contact for enhanced conductivity. This contact block has captive mounting screw. It works with Siemens 30-mm pushbuttons. Touchsafe contact block is UL listed and CSA certified.